Jersey Shore Boca veteran GK Chris Konopka and the US Soccer U-19 Men’s Regional Team returned to the United States on Tuesday which marked the completion of the US team’s nine day European tour and a overall eighth place finish in the 2004 Tournoi International Juniors de Croix in France. TOMS RIVER, NJ (June 2, 2004) – Goalkeeper Chris Konopka and the US Soccer U-19 Men’s Regional Olympic Development Team returned to the United States on Tuesday which marked the completion of the US team’s nine day European tour that included two international friendly games, four international tournament games and a overall eighth place finish in the 2004 Tournoi International Juniors de Croix. Konopka, who enters his sophomore year at Providence College in September, started and played in five out of six games for the US Team during the trip, allowed 7 goals, and earned one and ½ shut-outs. The 2003 Toms River East High School graduate and Jersey Shore Boca veteran was one of 16 top college freshmen from the Northeast that were named last month to the roster of the US Soccer Regional Team for this tournament. The Tournoi International Juniors de Croix, which is played just outside the Village of Croix on the northern coast of France, is one of the World’s longest running international soccer tournaments specifically designed for 19 year-old players. The twelve team invitation only international tournament began in 1957 and has held competition each year at the Stadia de Croix. A sampling of the previous champions and runners-up from the tournament’s forty-eight year history include powerful professional developmental teams from FC Barcelona (Spain), Inter Milan (Italy), Glasgow Rangers (Scotland), AC Milan (Italy), RSC Anderlecht (Belgium), Leeds United (England) and Sao Paulo (Brazil) as well as full youth national teams from France, Switzerland, South Africa, Chile and the United States. One year ago, the Unites States Under-18 National Team earned a fifth place finish in Croix with an overall tournament record of 2-0-2. 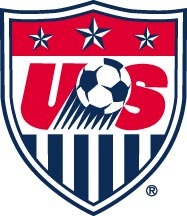 In addition to the US Regional Team, the participants in the 2004 Croix International Tournament included developmental teams from Osasuna (Spain), RE Mouscron (Belgium), Aalborg (Denmark), Dynamo Minsk (Belarus), Sao Paulo (Brazil), Den Haag (Netherlands), Hajduk Split (Croatia), Boavista Porto (Portugal), Lilli OSC (France), Wasquehal (France) and host IC Croix (France). In their opening game of the tournament on Saturday May 29th, the US Regional Team battled powerful Den Haag of the Netherlands to a 0-0 tie. Konopka started and played the entire match against the Dutch powerhouse, preserving the shut-out for the US Team against the strong professional developmental side. On Sunday, in the second round of the tournament, the US squared-off against the U-19s from Boavista Porto of Portugal, one of the top professional soccer clubs in Europe with the US needing a win to advance to the tournament semi-finals. After each team allowed a goal in the first half of play, Boavista converted a penalty kick late in the second half when a US player committed a foul inside the penalty area to give the Portuguese team a 2-1 win. Konopka again started and played the entire match against Boavista, who eventually were crowned the overall 2004 tournament champion defeating RE Mouscron from Belgium 2-1, last years overall champion. In the remaining two tournament consolation games, the US Regional Team tied Dynamo Minsk of Belarus 1-1 and lost to Aalborg from Denmark by a score of 3-0 giving the US an overall record of 0-2-2 and eighth place finish for the tournament. This is the third time this year that Konopka has been named to the roster of the US Soccer Regional Team and second time that he has been called for international duty. In January, he participated in a week-long interregional competition with the US Regional Team at the Home Depot Center in Carson, California. In April, Konopka helped the US Regional Team advance to the semi-finals in Group B of the “Tournoi International de Reze”, another highly competitive international soccer tournament held in Reze, France. Including this recent European trip, Konopka has competed in 14 national and international games with the US Regional Team in 2004, allowed 13 goals, earned 4 and ½ shut-outs and posted an overall record in goal of 3 wins, 6 losses, 4 ties and one no decision. He also recently signed with the Jersey Falcons of the United Soccer Leagues Premiere Development League (PDL), the top amateur soccer league in the United States.